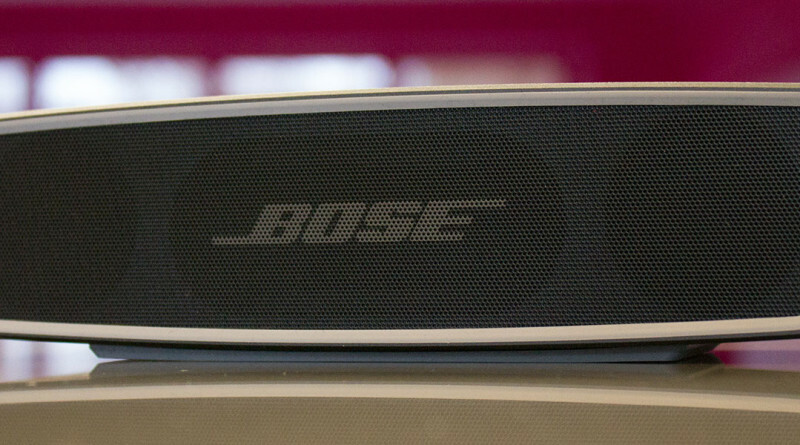 The SoundLink Mini 2 is the second version of Bose's most portable bluetooth speaker. Its the baby of their range but don't be fooled, this baby packs a punch! 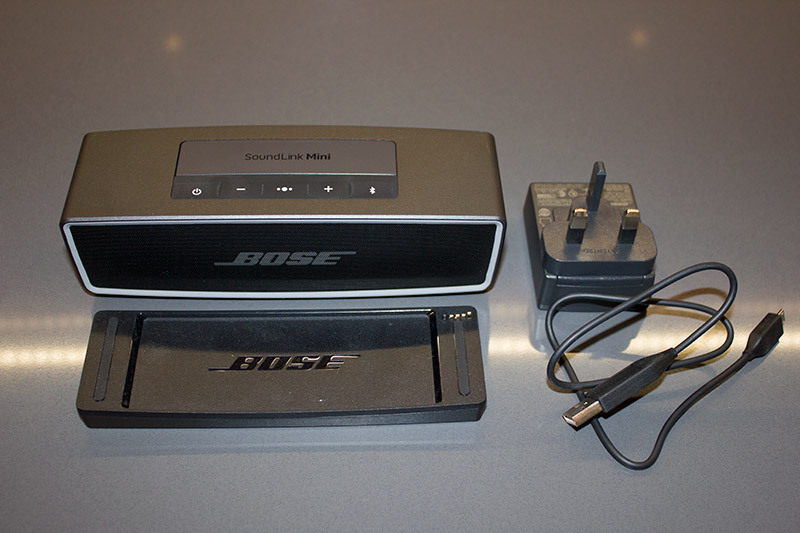 This is a premium portable speaker and its build quality is typical Bose. Its oblong shape makes it very easy to carry in your hands, its also heavier than one would expect but not too heavy. The grey and black finish gives it a sleek look, it is also available in white. 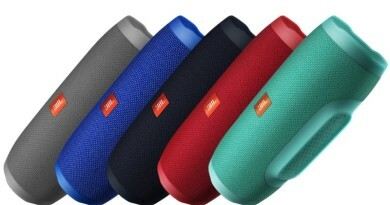 If you want more colour then there are a range of soft covers available in various colours to brighten up the Soundlink Mini. Included in the box is a charging cradle which can be used as a home base for the speaker when you aren't using it outdoors or in another room. I found it handy having the cradle as it keeps the speaker secure when not in use and ensures its always fully charged when you want to take it with you somewhere. The controls on the top surface are rubberised and have a really nice feel to them, easy and tactile to use. Rubberising the controls makes them dust and splash proof, great for picnics in the park or by the pool side. 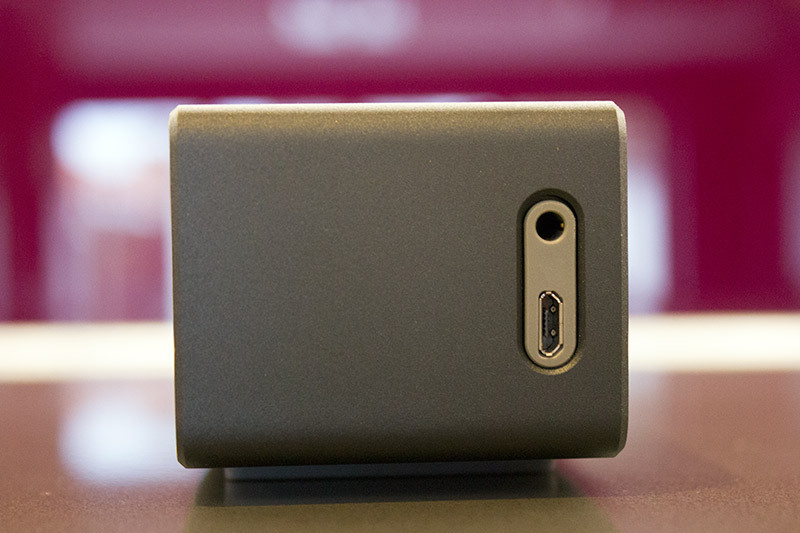 There are inputs to the side, with a 3.5mm input jack for connecting non bluetooth devices and a micro-USB port. Setting up is easy, switch the speaker on and press the bluetooth button, go to your bluetooth devices on your phone and select the speaker and its paired up. 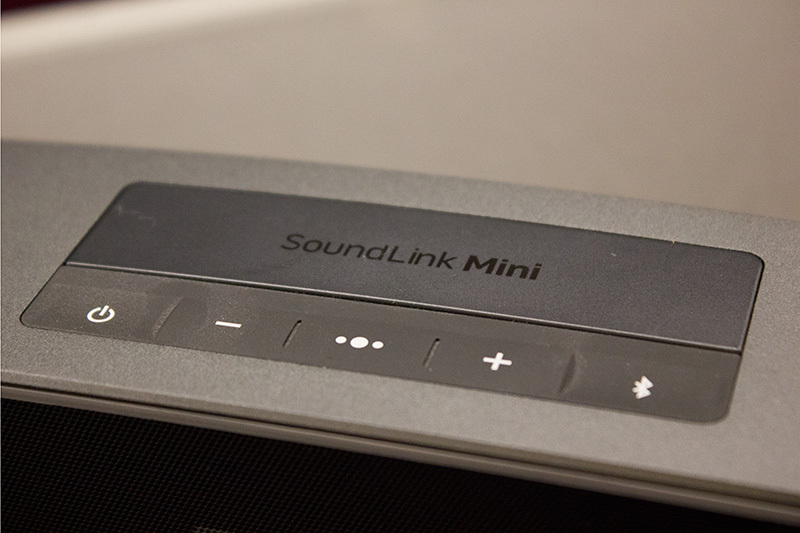 One handy feature with the Soundlink Mini is that its notifications are spoken words rather than a combination of beeps and other noises like most other bluetooth speakers. The sound is of high quality, there was a lot of weight low down with good bass for a speaker of this size. The mid range can get a little lost and lacks a little detail, give it a great thumping track with plenty of bass and it excels but it will struggle with more detailed tracks. Its still impressive for a speaker of this size though. It has no problem filling a large sized living room and doesn't struggle outside either. Overall I think this is an impressive speaker, it could possibly sacrifice some low end for some more mid/treble range and more precision. But overall for a speaker of this size you can't complain. If size is important to you and it must be small then this is the speaker for you. If not then I'd look for alternatives, although I haven't reviewed them myself I heard that the JBL Xtreme is a good alternative and well worth checking out. The Bose SoundLink 2 is available at around £140 at many stores around the UK including at Amazon with free next day delivery if you have a Prime account. ← Huawei’s new P9 gets double vision.